Exactly a month ago I wrote a post about Helga Wiedermann’s forthcoming book under the title “‘Secrets revealed’: Memoirs about the financial attacks on Hungary.” Wiedermann, about whom nobody knew much, turned out to be György Matolcsy’s chief-of-staff when he was minister of national economy. At the time I had to rely on a fairly lengthy excerpt from the book that appeared in Magyar Nemzet because the book was set to be released only about three weeks later. The excerpt concentrated on the heroic work of Matolcsy against bankers, speculators, and western politicians who wanted to see Hungary in ruins and Viktor Orbán toppled. Since then the book has reached bookstores, and now the talk is about something else: the incompetence and irresponsibility of György Matolcsy. So, what happened? Chess and Poker: Chronicle of the Victorious Battles of the Hungarian Economic War of Independence was released with great fanfare on March 11. Present at the book signing were Viktor Orbán and György Matolcsy as well as members of the Monetary Council. We learned that the idea of writing a book about Hungary’s economic battles came from Viktor Orbán himself. He thought that the Hungarian people should know more about the heroic efforts “we undertook together in defense of the country.” György Barcza, who used to be a respected financial analyst at ING Bank, today is the editor-in-chief of Napi Gazdaság, recently acquired by Századvég, an economic and political think tank close to the government. At the book signing Barcza hailed Chess and Poker as a reference book on how a government should negotiate with the IMF. He emphasized the importance of “economic independence” and cited Turkey and Russia as good examples. But after the high-profile book launch people went home and actually read the book. And this is where the troubles started. It didn’t take long to discover that one of the leaders of Hungary’s war of economic independence committed a serious indiscretion if not a criminal act. On November 17, 2011, four hours before the Hungarian government’s official announcement that it had after all decided to turn to the IMF for a loan, Matolcsy had lunch with three representatives of Goldman Sachs. He told them that in the morning the Hungarian government had approached the IMF for a loan. According to the detailed description of Wiedermann, one of the three visitors immediately excused himself to go to the rest room, not to relieve himself but presumably to inform, directly or indirectly, Goldman’s forex trading desk of this piece of news. The lunch, Wiedermann recounts, was unusually short. The guys from Goldman had gotten their inside information and presumably had more follow-up work to do. The EUR/HUF chart from that day shows the immediate buying pressure after Matolcsy’s indiscretion. When the official announcement was made at 3:52, forex traders not privy to its early “release” piled on. There were thus two waves of buying, with the early buyers having a decided advantage. Matolcsy, who a couple of days earlier had been praising the book as an accurate chronicle of events, found himself in an uncomfortable position. He changed his tune and now claimed that “Helga Wiedermann wrote nothing but fiction in her economic novel. Naturally the head of the National Economic Ministry did not inform the investors about Hungary’s plans concerning the IMF. Instead he told them that this was one of the possible options.” This is pretty much of an admission as far as I’m concerned. After ordering, Matolcsy mentioned in passing that at 8 a.m. he had informed the IMF delegation that Hungary is beginning negotiations with the International Monetary Fund and the European Union. Moreover, we already sent the letter to Washington and Brussels. The butter knives froze in the hands of the guests. One of the guests immediately said that he was in need of a restroom and got up. It is not known how many telephone calls he made, but after he returned they finished lunch in record time. Instead of the normal one and a half hours, they finished all the courses in 40-50 minutes. After this meeting Matolcsy became convinced that all the paranoid rumors were true: the big international investors had launched a life threatening attack against Hungary. What can one say after reading this? Is Matolcsy that ignorant of the financial world in which he is supposed to operate? From the description this seems to be the case, because the message is that Matolcsy thought he had tricked the men from Goldman Sachs into revealing the true intentions of the entire international financial world toward Hungary. This really boggles the mind. The guys from Goldman did what any smart employee would have done: having received information about an official move of the Hungarian government that hadn’t yet been made public, they rushed to tell their friends in London and/or New York that it was time to buy the forint. There is nothing sinister about this. As Boris Schlossberg, managing director of FX Strategy for BK Asset Management, said, “If your biggest Japanese client, who also happens to golf with the governor of the Bank of Japan, tells you on the golf course that BOJ is planning to raise rates at its next meeting, you could go right ahead and buy as much yen as you like.” This is not illegal; there is no such thing as insider trading in the forex market. Moreover, in this case Goldman Sachs’s purchase of forints was not an “attack” on Hungary. 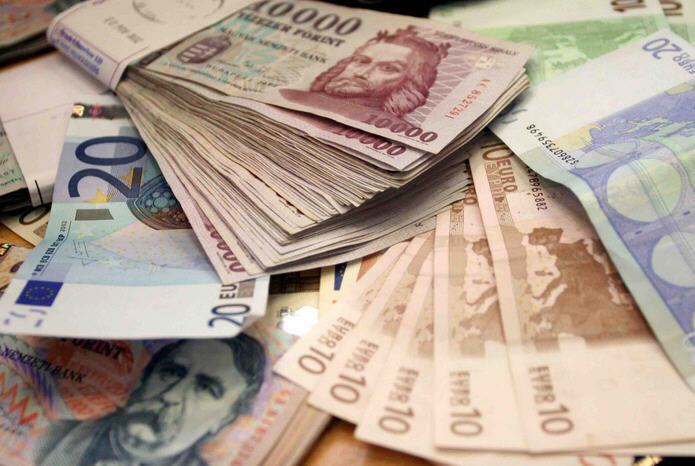 In fact, it helped to strengthen the Hungarian currency, which was to the advantage of the Hungarian government. I think we can safely say that Hungary had an economics minister and today has a governor of its central bank who not only is unqualified but talks too much. Until the news was officially released, it was a state secret which you don’t talk about to anyone, especially not to representatives of Goldman Sachs. News travels fast nowadays and yesterday at a press briefing by Gerry Rice, director of communications for the International Monetary Fund in Washington, a reporter asked him about this affair. QUESTIONER: On Hungary, this is kind of a book that came out this week saying that the previous economy minister spoke to Goldman Sachs before making public that it was going to the IMF for a program, and that this resulted in currency trading that some people, rightly or wrongly, are attributing to this sort of speaking in advance to an investment bank. So it just made me want to ask you whether the IMF — obviously there’s Hungarian legal issues that exist or don’t– have any rules on the ministers and governments that it speaks with how they should convey that information? Either if they could trade on it, for example, or if they can convey it to others and then in turn could trade on it? MR. RICE: I don’t have any information at all on the case you’re referring to, so I don’t have any comment on that. But we do have, of course, confidentiality understandings on information that we would consider confidential in the discussions that we undertake with any authority. Although the opposition wants to see Matolcsy resign, nothing of the sort will happen. 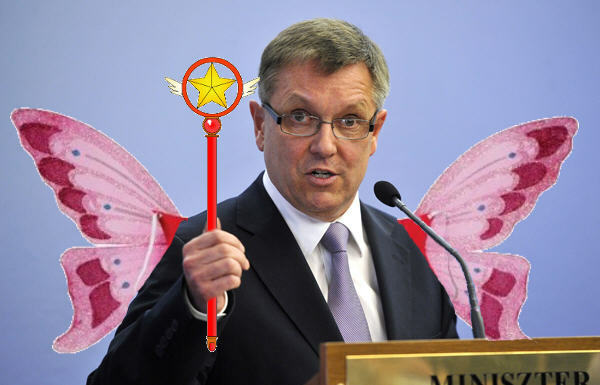 Especially since it would be the task of the governor of the central bank, György Matolcsy, to investigate the case of György Matolcsy, the minister of national economy. The oddity of the whole situation is well illustrated by the fact that the denial of the particulars of the affair came from the Hungarian National Bank, which had nothing to do with it. Many opposition politicians, especially before the deal between Orbán and Putin became public, suggested that the coming election should be declared a kind of referendum on the European Union. After all, the majority of the Hungarian electorate still supports Hungary’s membership in the Union while Orbán’s favorite target is the European Union. Well, the Orbán government is prepared. Helga Wiedermann, the right hand of György Matolcsy in the ministry of national development and again in the Hungarian National Bank, came out with her memoirs entitled Chess and Poker. How timely! The book is not yet available in bookstores, but Magyar Nemzet has an advance reader’s copy from which the newspaper quotes extensively. The upshot of the story is that the European Commission, especially Olli Rehn, commissioner for economic and monetary affairs, is a deadly enemy of Hungary. The European Union, conspiring with leading members of the international world of finance, tried through monetary means to unseat Viktor Orbán as prime minister of Hungary. But in the end Matolcsy’s genius guided by Viktor Orbán’s superior vision triumphed against all odds. Who is Helga Wiedermann? Mighty little can be found out about her on the Internet, which should surprise nobody. 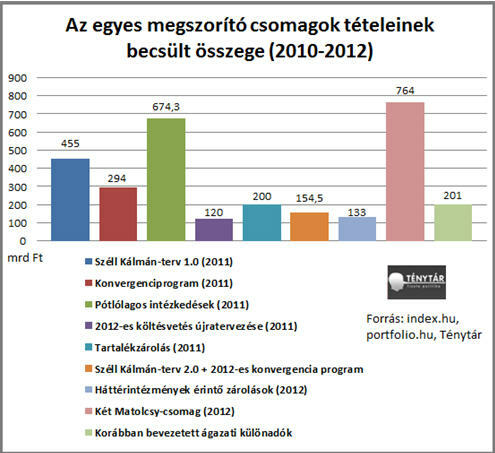 The whole Hungarian government is full of people who have no professional background for the jobs they fill. Political loyalty is what counts. I assume that Wiedermann must have had good Fidesz connections because she began her career in Matolcsy’s ministry as “political adviser.” To accommodate faithful Fidesz supporters this administration creates new positions right and left. Matolcsy either must have been terribly impressed with her political advice or received word that Wiedermann needs a more important and permanent job: she was elevated to be Matolcsy’s chief-of staff. When Matolcsy moved over to the National Bank, his trusted chief-of-staff went with him. They created a new position for her called “director general” (főigazgató). According to a blogger who seems to know a lot about the inner workings of the National Bank, Helga Wiedermann is the only person besides Matolcsy who can hire and fire at will. The same blogger calls Widermann a “professional zero,” nothing more than the person in charge of human resources. Given this background, one must ask how Helga Wiedermann can report on minute details of Ecofin meetings attended by all the finance ministers of the European Union. How did she learn what transpired there? Clearly, only from her boss, György Matolcsy. According to her story, Olli Rehn from the very first Ecofin meeting Matolcsy attended was a sworn enemy of Hungary at a time when the country was struggling to conquer the economic crisis. For example, at that very first meeting Olli Rehn tried “to portray Hungary in the worst possible light and claimed that the Hungarian situation was as bad as the Greek when Hungary was in fact in much better shape.” Now, that is really funny! I remember distinctly that it was not a long time ago that Viktor Orbán himself claimed that when he became prime minister Hungary was in worse shape than Greece. Well, what is the truth then? I have the feeling that by now even they cannot tell. There was incredible pressure put on Matolcsy from day one, even from members of the European People’s Party, to extend the IMF-EU loan and introduce an austerity program. After Matolcsy categorically stated that he was unwilling to follow their advice, “he was put under incredible economic and later political pressure.” And yet he resisted. Wiedermann then moves on to really juicy stuff. How the European Union, conspiring with the leaders of large European and American banks, tried to remove Viktor Orbán and replace him with another Fidesz leader who would not insist on levying extra taxes on banks and instead would be ready to introduce the much desired austerity program. According to the author, the decision to unseat Orbán was hatched sometime in the spring of 2011. By July 2011 there was an attack against the forint, which until then had moved together with the Polish złoty and the Czech koruna. According to Wiedermann, there was no reason for this sudden weakening of the Hungarian currency. 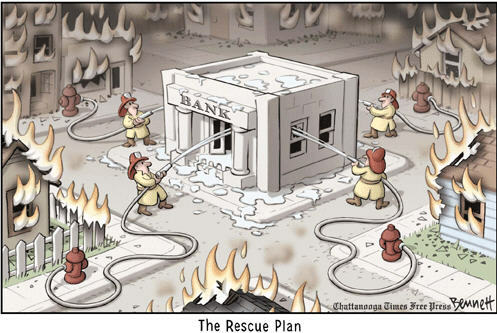 On the contrary, the Kálmán Széll Plan had just been introduced and was well received by the markets. 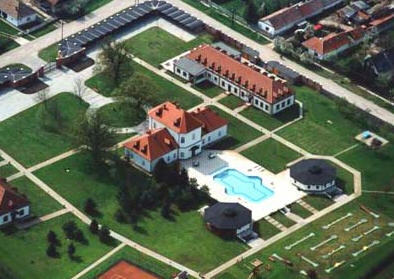 Moreover, in the spring of 2011 the Hungarian treasury floated a successful bond issue. So, what happened? Why this attack on the forint? Wiedermann has the answer. In the spring of 2011 in a New York restaurant six representatives of American investment banks decided to attack the forint. Why did they conspire to do that? After all, these banks didn’t have subsidiaries in Hungary and therefore they were not directly affected by the extra levies on banks in Hungary. They acted because they realized the danger of the Hungarian example. The poor innocent Hungarian official in the ministry didn’t realize what was going on until September because until then the weakening of the forint was slow and gradual. The rest of the book is a tale of the brilliance of György Matolcsy, who managed to lift the sanctions against Hungary despite Ollie Rehn’s concerted efforts. Matolcsy had many friends among the finance ministers. Even the finance minister of Finland and Denmark sided with Hungary, although they were close allies of Rehn. A real surprise came when Great Britain and Sweden voted for lifting the sanctions. In brief, total victory for the efforts of Viktor Orbán and György Matolcsy. The appearance of the book is well timed. This attack on the European Union and American bankers is supposed to sway Hungarian voters to support the heroic Orbán government, which stands for independence and sovereignty. The members of the “Hungarian team” are the defenders of the nation while foreigners wanted them to suffer the indignity of a draconian austerity program. These guys pull out all the stops. There are always a few people who phone into György Bolgár’s popular talk show on Klubrádió inquiring why he spends so much time on Viktor Orbán. The answer is simple. Orbán controls the country’s political, economic, and social agendas. Lately he has been busily promoting his ideas on topics ranging from religion to re-industrialization. Just in the last two days he made two speeches and gave his usual Friday morning interview to Magyar Rádió (which lately I’ve noticed French and German journalists correctly call state radio instead of public radio). And today the Spanish El Mundo published an interview with Orbán on Christianity’s blessings for everyone, including nonbelievers. Here I will tackle only the two speeches he delivered on April 18 and 19. The first was occasioned by an addition to the Stadler Rail Group’s plant near Szolnok. Stadler Rail is a Swiss company. The second also marked a plant expansion, this time by the Danish Lego Group at its Nyíregyháza facilities. There are practically no foreign companies that want to establish new factories in Hungary, so Orbán must be satisfied with even modest expansions of existing ones. Both Lego and Stadler have been operating in Hungary for a number of years. They came during the Gyurcsány and Bajnai governments. Years ago, during his first premiership, Orbán made a since oft-quoted statement: “There is life outside the European Union.” In the last ten years or so he didn’t want to call attention to that much criticized sentence. At least not until two days ago when he said in his Szolnok speech: “I find it very important that the company that invests in Hungary is Swiss. Hungarians have always admired the Swiss and I am especially pleased that the Ambassador of Switzerland is also here. As school children we learned that Switzerland is a freedom loving country that has never given up its independence, horribile dictu didn’t even join the European Union. Switzerland is a good example that there is life outside the Union, so no one should be scared.” Well, that’s quite something although I doubt that Orbán actually wants to withdraw from the EU. He knows only too well that a financial collapse would follow secession. There can be no better place to talk about the re-industrialization of the country than in a plant that manufactures railway vehicles and streetcars. The site gave Orbán an opportunity to repeat one of his favorite themes: that only industrial “production” constitutes real work. He will transform Hungary from a service-oriented society to one that is “work-based.” Any other kind of human activity is worthless. In fact, more than worthless. It leads straight to failure. Let’s see just what he has in mind. “Someone who works, produces will stay successful, the one who speculates on the financial market will fail; the one who is in the service industry cannot stand on his own feet.” I haven’t heard such stupidity for a very long time. Try to explain that to the Rothschilds or to Conrad Hilton. On the other hand, there is no guarantee whatsoever that someone producing industrial goods will succeed. Just think of all those companies that have died or that are struggling to keep their heads above water. But wait, there’s more! According to Viktor Orbán, “we don’t live off others. We don’t live from the dole of the IMF or the European Union. The country is standing on its own feet because of its economic accomplishments.” I can’t find words! The next day it was time to visit Nyíregyháza where the Danish Lego Group is expanding its facilities. Here we found out from the Hungarian prime minister why Lego products are so popular. He has, he said, spent some time pondering over this puzzle and came up with the following hypothesis: “These toys are the expressions of the modern age, the world in which we live. In them we can find the greatest challenge of globalization. That challenge is how we can build separate worlds from almost practically identical components. 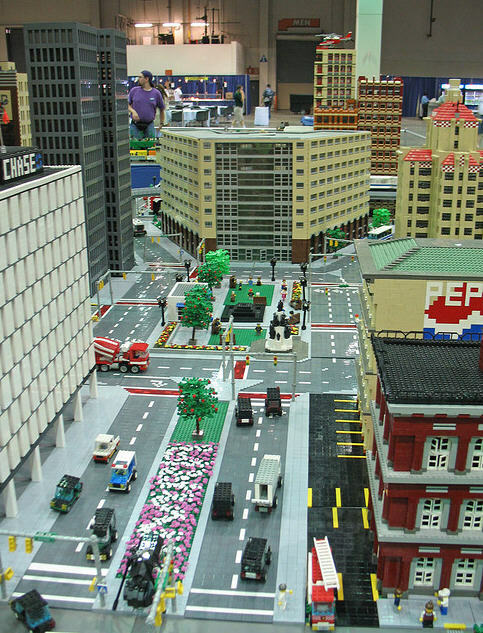 … In 2010 we began exactly that kind of enterprise, which is not at all a game but which demands at least as much inventiveness and fantasy as building our own world from Lego comp0nents…. We Hungarians had to undertake the task of rebuilding a Hungary that is different from all other countries from components at our disposal in the twenty-first century…. We followed the spirit of Lego. We didn’t follow the well known path but started on our own, trying to remove the debris of the past.” And he went on and praised the inventiveness and creativity of Hungarians. Well, we know that the inventiveness and fantasy exhibited by György Matolcsy produced mighty few positive results. On the contrary, his unorthodox economic moves managed to send the Hungarian economy into recession. One mustn’t forget, although Orbán et al keep trying to rewrite history, that the Hungarian economy was on the rebound when he took office in 2010. To build a separate Hungarian world today is impossible, and I suspect it was always impossible. Globalization is not a new phenomenon. I would also advise Orbán not to mix up Switzerland with Hungary.